the Komet OverDrive Amplifier, or K.O.D.A. — a massive sounding pedal with a stunning feature-set to boot. K.O.D.A. 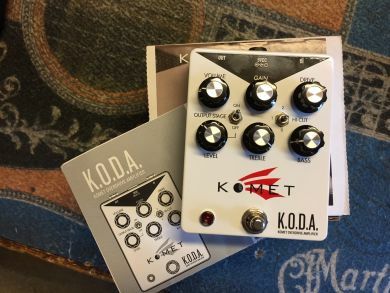 is a remarkably tunable pedal that offers an exceptionally amp-like overdrive structure with amazing gain-staging flexibility in 3 different circuit positions.